Lemax Single LED Light Bulb Replacement Unit push-fit non-filament LED light bulb compatible with modern Lemax light units which illuminate Lemax Buildings. 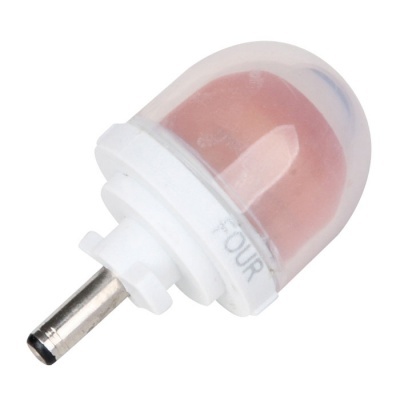 Replacement bulb specifically designed to fit into current light units for LED Lemax lighted houses. Cased bulb with push pin fitting makes swapping blown LED bulbs a completely safe and easy task for any Lemax collector. Lemax buildings come to life when illuminated using Lemax light cords. Modern Lemax lighted buildings utilise LED lighting technology which this bulb is compatible. Please note: LED replacement bulbs are not compatible with older lightcords using filament bulbs that have a brass screw fitting.